Puerto Rico Return Agent provides exceptional customer service. Six months ago, Hurricane Maria battered Puerto Rico leaving mass destruction in its path. In the weeks following the storm, Enterprise employees worked tirelessly to ensure the business could get customers where they needed to go. Today, many residents are still feeling the effects of the storm. According to Puerto Rico’s Power Authority, 103,000 people are still without electricity. As the island continues to recover, one thing hasn’t wavered – Enterprise’s commitment to providing great customer service. 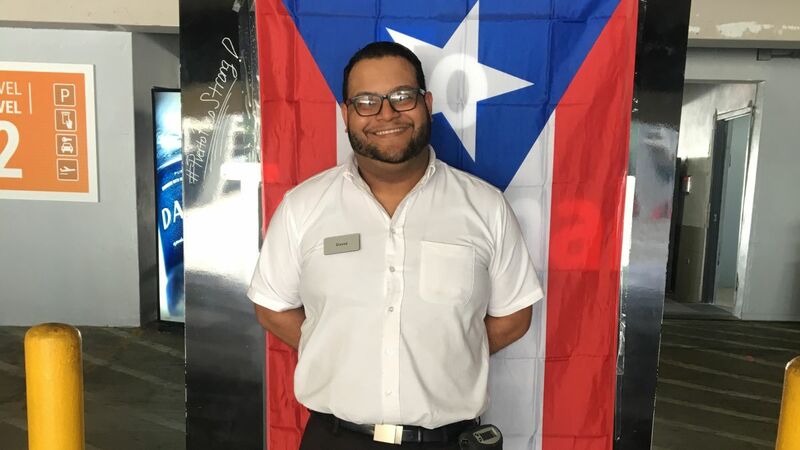 In fact, one customer recently sent a letter of appreciation praising David C., a Return Agent at San Juan International Airport, for his exceptional service. The customer was a Registered Patent Agent with the U.S. Patent and Trademark Office. As a seasoned traveler throughout his 36-year career, he experienced a first – a dead car battery in his rental car. When I found out what had happened, I quickly knew the best way to handle the problem was to listen to the customer and put myself in his shoes. I apologized for the inconvenience and knew I had to find a way to get him back on the road. I exchanged the rental and upgraded his vehicle. I could immediately tell the customer was pleased with my ownership of the situation. He left very happy and said he would definitely rent from Enterprise again. What is your reaction to the complimentary letter? The letter caught me by complete surprise. I didn’t expect to be recognized for my service that day – I consider my actions part of my day-to-day responsibilities. It’s also part of the customer service culture the Airport team displays in everything we do. When my managers shared this letter with me and all my coworkers at the airport, I realized the level of importance of our everyday interactions with customers. It also made me feel very good that I did the right thing for the customer and held up the high standards of our team’s commitment to customer service. I think my level of sincerity in taking time to listen and my effort to understand where he was coming from really stood out. I thought about how I would feel if the roles were reversed. Having empathy and understanding allowed me to identify the correct course of action and take steps make sure he was satisfied with the outcome. What advice can you give others about providing exceptional service? I encourage employees to treat customers how you would want to be treated or even as someone in your family. As we frequently handle a number of customer service issues, I’ve learned how important it is to listen first and let customers vent frustrations. An apology also goes a long way. Customers appreciate that you truly want to help them, and they will walk away happy from the situation. I have been with Enterprise for one year. As a Return Agent, I am one of the last people to interact with the customer, and I have the big responsibility of making sure all customers leave our facilities completely satisfied with the service provided. This helps ensure they not only leave happy, but they also become repeat customers.